Lovely hostel in a superb location very friendly staff. When would you like to stay at YHA Wasdale Hall? This 19th century country manor is every bit as grand as its name would suggest. This Cumbrian hostel is often cited as a favourite due to the impressive nature of the building, not to mention its breath-taking scenery which has earned the title of “Britain’s Favourite View”. Set right on the shore of Wastwater, England’s deepest lake, from the hostel you can see the expanse of the lake plus the awe-inspiring mountains beyond - perfect for getting away from the pressures of everyday life and relaxing in beautiful surroundings. YHA Wasdale Hall sleeps up to 42 people in a range of private rooms: 3 x 4 bed, 2 x 5 bed (including double beds), 1 x 6 bed rooms (all bunks) and male and female dormitory beds. We have toilets and showers throughout the building and a self catering kitchen for guests to use. Our cosy lounge centres around a log fireplace, which is great for keeping warm in the winter months. 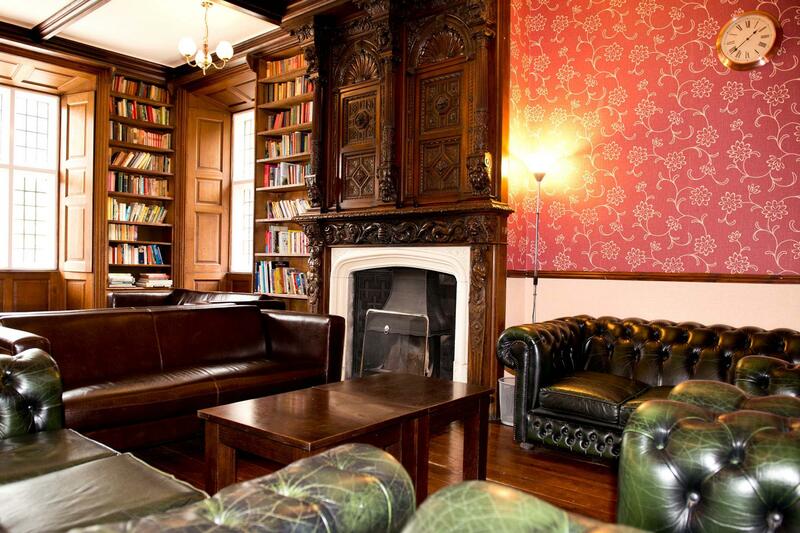 Our comfortable Chesterfield sofas are in keeping with the heritage of the building itself and we have a wide range of books available in the library end of the room. There is also a dining room on the ground floor with tables and chairs. Due to our remote location and the local infrastructure, we don’t have a TV signal and mobile phone reception is very patchy. We do have a payphone for guest use. This is a real get away from it all location, so turn off your electronics and relax! Join our nightly Supper Club, share stories and experiences with your fellow travellers while tucking into a big pot of something delicious – this is the authentic hostel experience! Alternatively we offer a fantastic range of stone-baked pizzas throughout the evening, pick from our menu or choose your own toppings. Don’t forget, kids under 10 eat free – get one kid’s meal free with every adult’s meal. Follow in the footsteps of the Abraham brothers and climb to the top of Napes Needle - a classic hard/severe climb with stunning mountainside views straight down to Wasdale. Spectacular classic walks for all abilities on the doorstep. There's options suitable for everyone from wheelchair users right up to technical navigational high mountain walks. The hostel grounds run down to the lakeshore. Paddling, canoeing and kayaking are available on the lake, a stones throw from the hostel door, just remember to bring your own equipment. Parking: Off-road parking is available. To enjoy YHA Wasdale Hall for just you, your friends and family visit our YHA Exclusive Hire website and hire the whole property. YHA Wasdale Hall is the perfect place for an activity break with a school group. Water sports, climbing and abseiling are all on your doorstop. The hostel also provides geography and biology educational packages. 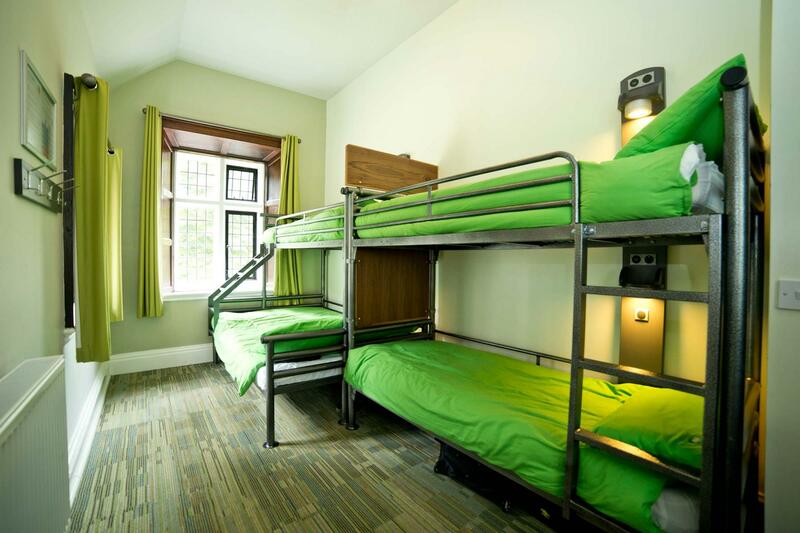 There are beds for up to 50 people, delicious meals and classroom facilities. YHA Wasdale Hall was built in 1829, the owner was a Yorkshire Banker and Merchant called Stansfield Rawson whose family had connections with the East India Trading Company. How Rawson first came to Nether Wasdale is not known, but rich (and not so rich) off comers had been building houses for themselves in the Lake District since the 1770s! Rawson, unusually chose to build in a late-Medieval/Tudor style. Rawson’s son, was able to lay what his father called the foundation stone in the North East corner of the laundry (or servants hall gable). The stone is still there, not a foundation stone in the accepted sense, but a block set into the wall of one of the attic rooms! The new wing that he built, the present South wing of Wasdale Hall, was larger then the earlier one, housing not only a library with a morning room above, but also a dining room, with a bedroom and dressing room above, and at the rear of the building an ale cellar. After Rawson died, his son inherited the property, and after his death it then passed through various owners as a home for the summer - much of its original grounds were separated and sold off. This 200 year old country pile was originally used as a lakeside holiday home before becoming a National Trust property. Built in the 19th century, the Youth Hostel retains many of its original features including panelled windows, gabled roof and cornicing. The Hall became a Youth Hostel in 1969 and in recent years has been restored and decorated to give something of the appearance and atmosphere which it might have originally had. The hostel's name was changed from YHA Wastwater to YHA Wasdale Hall in 2015 as it was felt that this was more reflective of the nearest area, Wasdale.